In American Association Daily, Robert Pannier recaps the game of the night as the Lincoln Saltdogs hit three more homers to defeat the Cleburne Railroaders, 9-7. The Kansas City T-Bones score 9 in the ninth to defeat the Wichita Wingnuts, 11-3, and St. Paul Saints RHP Matt Solter is impressive again. Get recaps from around the league. In American Association Daily, Robert Pannier recaps the one game from around the American Association. The Game of the Night was a close battle between the Gary Southshore RailCats and the Fargo-Moorhead RedHawks, as the RailCats claw out the 3-2 victory. In American Association Daily, Robert Pannier recaps the six games from around the American Association. The Game of the Night was a great 1-0 walk-off victory by the Chicago Dogs over the Sioux Falls Canaries. The St. Paul Saints downed the Wichita Wingnuts, 2-0, and the Fargo-Moorhead RedHawks homered four times to defeat the Lincoln Saltdogs, 9-4. 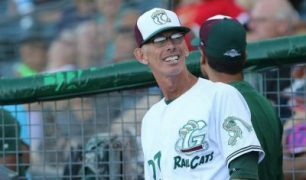 In American Association Daily, Robert Pannier recaps five exciting American Association games from Monday, as the Gary Southshore RailCats won in walk-off fashion over the Winnipeg Goldeyes, the Lincoln Saltdogs get two home runs to down the Fargo-Moorhead RedHawks, and the Sioux Falls Canaries get eight shutout innings from Dylan Thompson. In American Association Daily, Robert Pannier recaps five exciting American Association games from Sunday, including the Chicago Dogs ending their 12-game losing streak. The Cleburne Railroaders shutout the St. Paul Saints, and the Lincoln Saltdogs crush the Sioux Falls Canaries. In American Association Daily, Robert Pannier recaps five exciting American Association games from Friday Evening, including Corbin Osburn tossing six shutout innings in his second career start in the Wichita Wingnuts 1-0 victory, and the Sioux Falls Canaries outslugging the Fargo-Moorhead RedHawks, 10-7. In American Association Daily, Robert Pannier recaps tan exciting Memorial Day in American Association baseball, including a double-header sweep by the Lincoln Saltdogs, and the Texas AirHogs ending their 10 game losing streak in walk-off fashion. In American Association Daily, Robert Pannier recaps five exciting American Association games from Tuesday evening, including the Kansas City T-Bones scoring five in the ninth to down the Sioux City Explorers, and the St. Paul Saints defeating the Texas Airhogs in 11. In American Association Daily, Robert Pannier recaps tan exciting Memorial Day in American Association baseball, including the Sioux City Explorers and the Fargo-Moorhead RedHawks winning in walk-off fashion, and the Wichita Wingnuts and Cleburne Railroaders locked in a great pitcher’s duel. 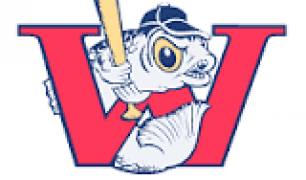 In American Association Daily, Robert Pannier recaps the exciting games around the American Association from Sunday, including the Winnipeg Goldeyes rallying to earn a 6-3 comeback victory over the Sioux Falls Canaries and the Cleburne Railroaders downing the Sioux City Explorers. There was also an exciting finish to the Kansas City T-Bones-Chicago Dogs contest. 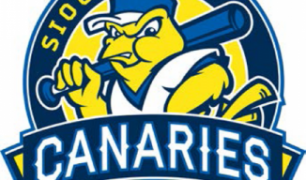 In American Association Daily, Robert Pannier recaps the exciting games around the American Association from Saturday, including ta dramatic 6-5 victory by the Sioux Falls Canaries in 10, ending a great comeback by the Winnipeg Goldeyes and a crushing of the Saints by the RailCats, 16-7. In American Association Daily, Robert Pannier recaps the exciting games around the American Association from Friday, including the Kansas City T-Bones ruining the Chicago Dogs opener with six runs in the ninth and Eddie Medina tossing seven shutout innings as the St. Paul Saints won their sixth straight. In American Association Daily, Robert Pannier recaps the exciting games around the American Association on Tuesday, as the Cleburne Railroaders battled back from four down to down the Fargo-Moorhead RedHawks and the Lincoln Saltdogs came back from nine to defeat the Wichita Wingnuts 11-10. Read the recaps of all six games. In American Association Daily, Robert Pannier recaps the exciting games around the American Association on Monday, including a big 4-3 victory by the Fargo-Moorhead RedHawks in the 11th inning, ruining the first home run hit by Rafael Palmeiro. The St. Paul Saints won their home opener, and the Winnipeg Goldeyes evened their record. In American Association Daily, Robert Pannier recaps the exciting games around the American Association with starting with the Texas AirHogs-Team China winning their first game of the year, and the defending champion Winnipeg Goldeyes also earning their first victory. Michael Tamburino also had 6.1 no-hit innings for the Saltdogs. American Association Daily provides insights and features on the American Association of Professional Baseball League, as well as player and coaching profiles and transactions going on with teams around the league. In today’s edition, Robert Pannier discusses changes to the salary structure of the American Association to accommodate the new Save America’s Pastime Act. This plus numerous transactions around the league.